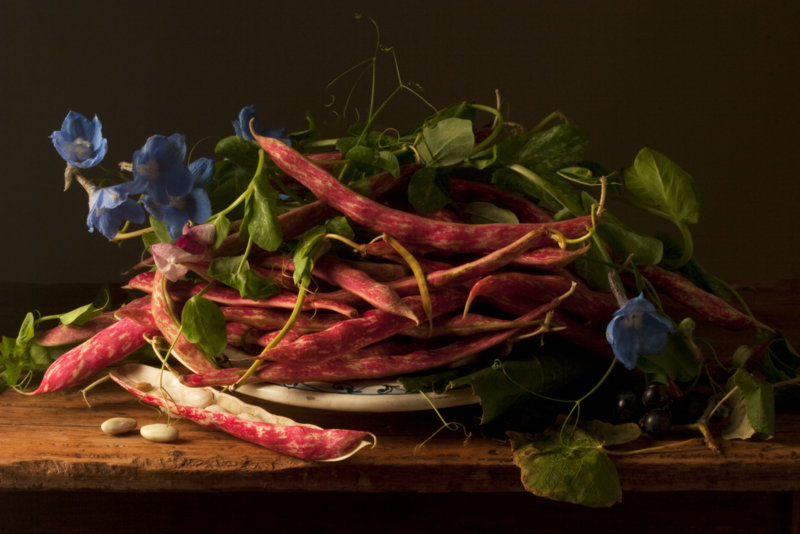 Thos of you who follow my blog on a regular basis will know that I have been experimenting with Still Life photography. 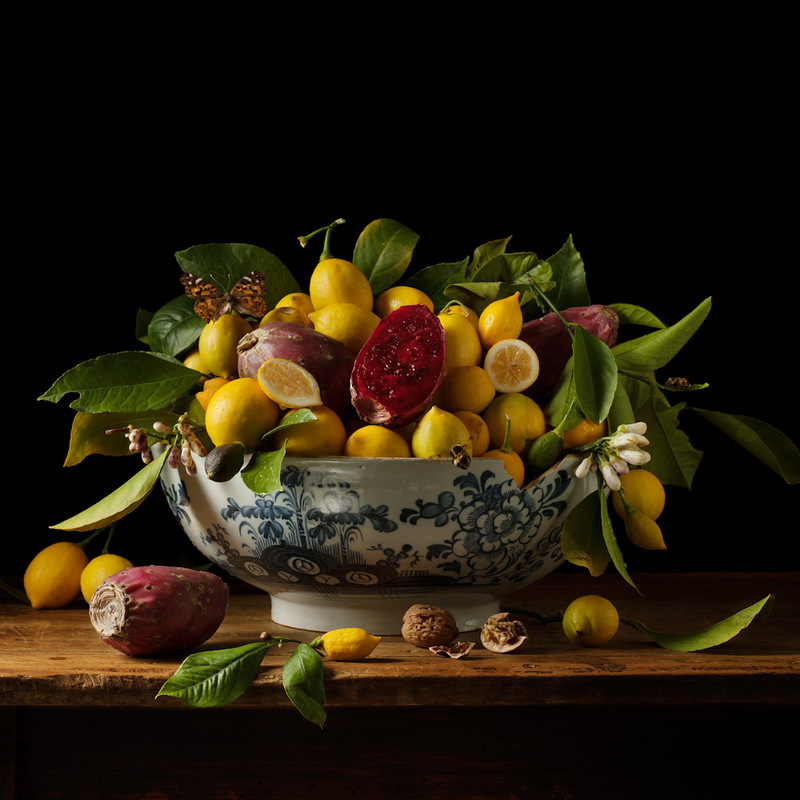 I was quite pleased with some of the results until I saw the work of Paulette Tavormina whose work interpreting the Dutch still life idiom has really taken my breath away. It reminds you that the key to successful still life work is composition, colour and most important meticulous attention to detail. Tavormina’s work has all these qualities and she produces images of real depth and lasting beauty. 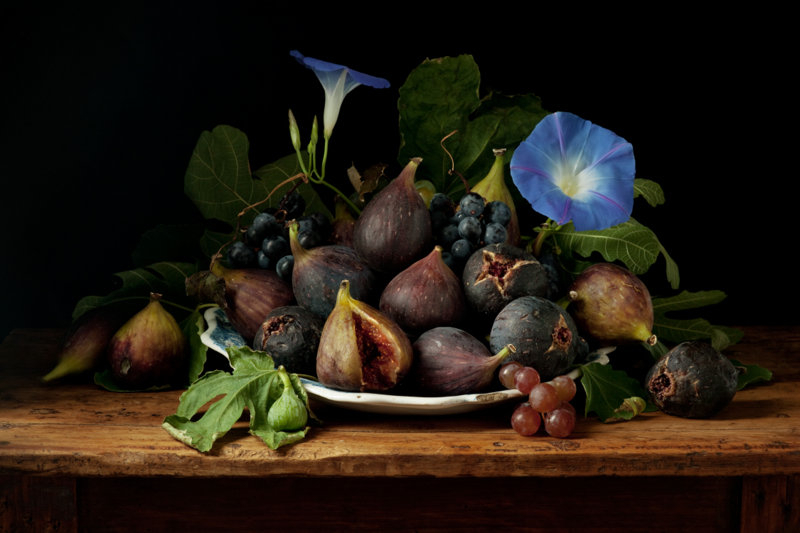 Paulette Tavormina is a fine art and commercial photographer specialising in still life and based in New York. 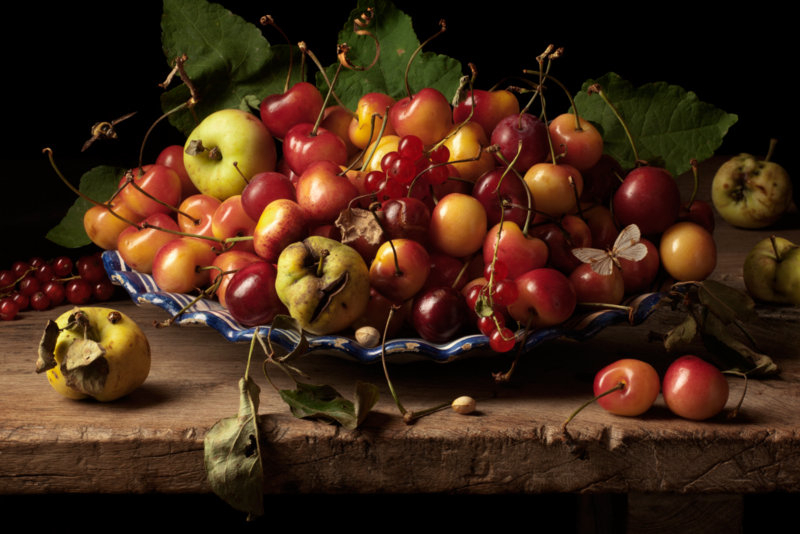 On her website, www.paulettetavormina.com, Tavormina explains: “I have long been drawn to the seventeenth century Old Master Still Life painters Giovanna Garzoni, Francesco de Zurbaran, and Adriaen Coorte. I am particularly fascinated by Zurbaran’s mysterious use of dramatic light, Garzoni’s masterful compositions and color palette, and Coorte’s unique placements of objects. Seventeenth century Europe witnessed an explosion of interest in the natural world. Botanical encyclopedias from the period are records of the discoveries made on extensive explorations during this “Golden Age” of global trading. Still life painters incorporated shells, insects, exotic fruits, and flowers found abroad alongside Venetian glass and Chinese porcelain. Their vignettes served as a tribute to newly discovered corners of the world. Worldly in their composition, these paintings also speak to universal themes as relevant then as now: the fragility of life and love, fleeting beauty and tempus fugit, the swift passage of time”. Tavormina’s work, like that of all good artists, is deceptively simple. You can look at the work and believe that there is nothing there that you couldn’t do. But you haven’t and when you try you find that it is infinitely more difficult than you imagine. The combination of light, colour and composition required to create an image that glows like Tavormina’s does takes an excellent eye and infinite patience. But it is good to see the bar raised like this; it gives all us struggling photographers something to aspire to. Posted in Inspiring Photographers and tagged paulette tavormina, photography, photos, still life, Tavormina. Bookmark the permalink. Thank you so much for blogging my work. I tried to email you directly but it did not work.